Halloween crawls inexorably toward us, a wild beast about to attack with treats, costumes, and decorations, horror movies and specials. As I re-watch It’s The Great Pumpkin, Charlie Brown for like the millionth time (sadly, this may not be as much of an exaggeration as it should be), this time I’m trying to see it through the eyes of a child, today. 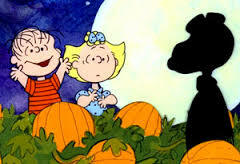 So with that in mind, I’m putting aside the symbolic struggle represented for those whose beliefs are in the minority, as with certain religions, theories, or Linus and his Great Pumpkin; also, everything I’ve learned from this, including parts that, at times, seem a bit weird. Here are a few older posts that look into that. Do children now really like these older classics or are we transferring our fond memories to them, assuming they’ll like them as much as we did? Are they humouring us? Lucy getting dog germs from Snoopy, is that still a thing? How about the sucker getting leaves stuck on it? Does anyone even remember what a Sopwith Camel is? 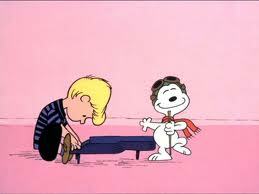 Do they think Schroeder should just use an app to make music? Do they think the homemade costumes are bizarre? That old-school animation is boring? Do they need more sophisticated animation? Bigger musical numbers? Action? Adventure? Is this show just too slow and too old-fashioned for modern audiences? Peanuts is where I learned what a Sopwith Camel was, rather gave me the desire to look it up. Although when I started reading Peanuts, Charles Schultz was still alive. I do think though that stories in peanuts are timeless, and children today will be able to relate. That’s my opinion though, I certainly don’t have studies to back that up, lol. 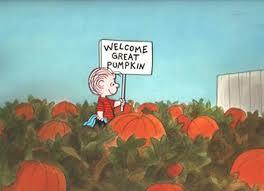 Religion, Politics, and The Great Pumpkin This is such a great cartoon… I could watch it every year, at least once. Does it bring back the past, I feel that it brings back the past and the future. A great cartoon! That may well be true. And I get the sinking feeling someone may try to reboot the series. Ah good old Charlie Brown! Brings a smile to my face! Huh… I thought I had seen all your Halloween posts, Donna. Looks like I missed this one. Nowadays the politics of 2014 look a lot better than what I have today. Thank you for all the Halloween fun every year. And thank you for being you every day. Mega hugs! Isn’t it wild the way that works? And that was originally written in the 60s – no matter how much things change they sadly sometimes stay the same, although watching, “It’s The Great Pumpkin, Charlie Brown”, some things are timeless, in the best way possible. Good Grief!